This set of traditionally-styled door bumpers are made of brass and black rubber. They're perfect for home or businesses and can match any decor (whether traditional or modern). Concealed screw holes streamline the look. These door bumpers can mount to the floor or wall. 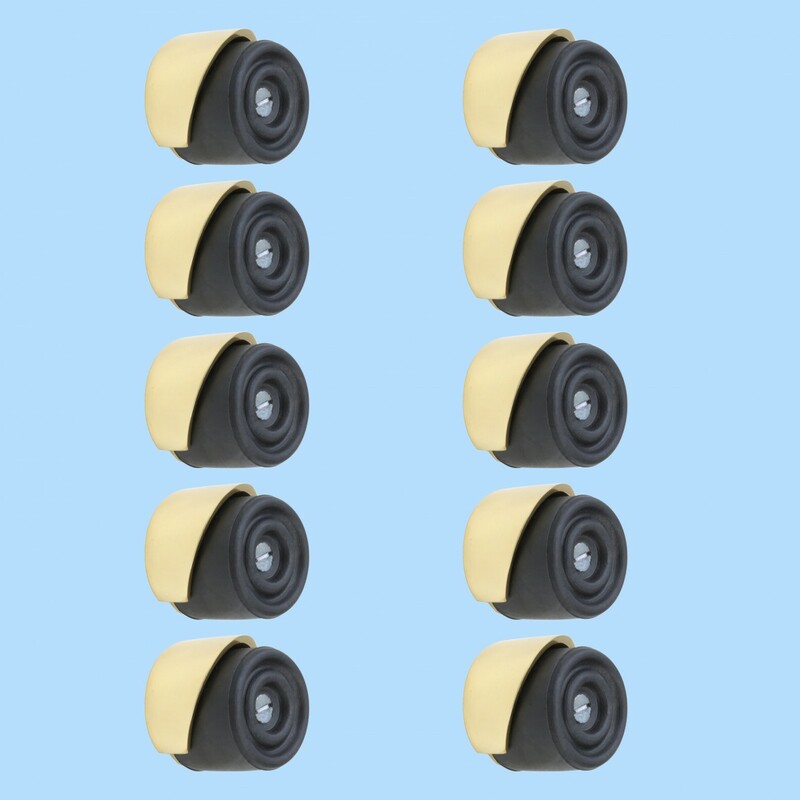 Includes rubber bumper and mounting screws. Measures 1-1/2" diameter and 1" projection.